The SME One Asia Awards is established to recognise and reward the business success, social responsibility and leadership achievements of small and medium enterprises (SMEs), especially those that have implemented business practices that contributed to the development of people, society and the environment, thus promoting sustainable growth in Asia and beyond. 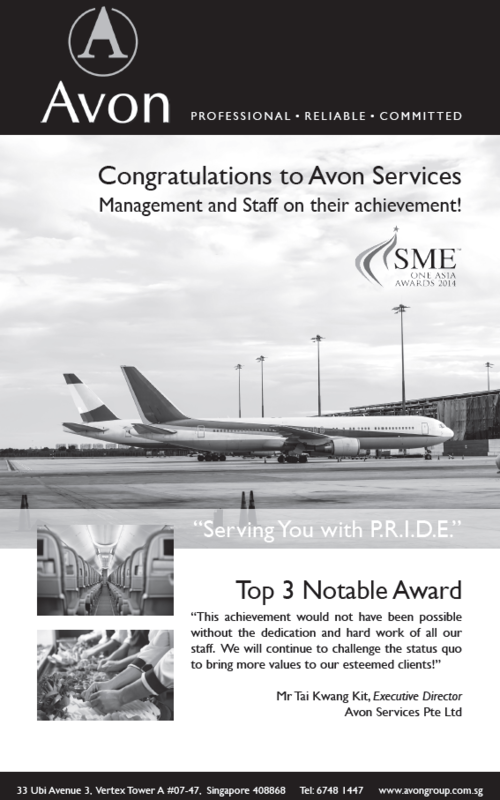 Avon Services Pte Ltd is proud to be awarded the Notable Award (Top 3) at the 2014 award ceremony held at Marina Bay Sands on November 12th. The Notable Award is awarded to SMEs that have begun to make their mark in Singapore’s business community through innovation and enterprise.